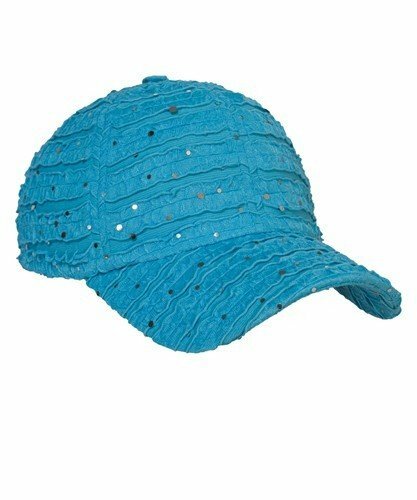 Classic aqua glitter cap in breathable, lightweight fabric. Velcro closure for adjustable fit. Matches the aqua glitter ribbon infinity scarf.